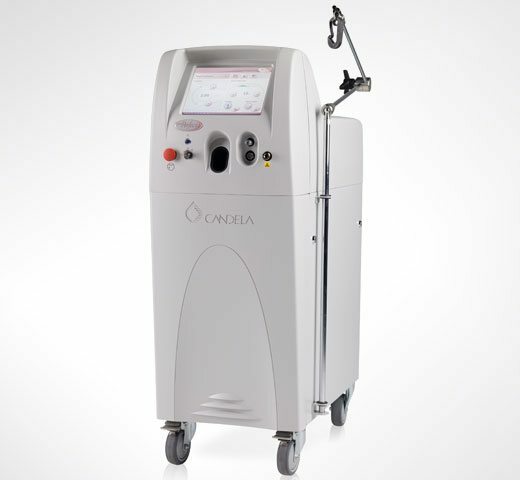 Vbeam is an FDA-approved pulsed-dye laser that we use for treating facial redness, broken blood vessels, veins, venous malformations, bruises and red/pink discoloration of surgical & wound scars. The number of treatment sessions needed depends on the problem that is being addressed. What is Vbeam treatment like? Almost all Vbeam treatments are both fast and essentially pain-free. Prior to treatment we will review the procedure plan with you, cleanse the skin and take photos of the area to be treated. During the procedure you will be given eye protection to wear. You may feel a slight stinging sensation during the procedure but this quickly fades after your treatment is complete. Vbeam also has a cooling mist built in that will spray onto the skin just prior to each pulse of the laser. The procedure itself can take anywhere from 1 to 10 minutes, depending on the size of the area being treated. What are the side effects of Vbeam? Any downtime? Side effects & downtime from Vbeam are minimal. Most patients experience redness, bruising and/or a marginal amount of swelling, all resolving over the course of approximately 1 to 3 days. You will be able to return to normal daily activities immediately after treatment. You will be given specific post-treatment instructions after the procedure. Make sure to closely follow these instructions for best results. When will I see results from Vbeam? How long will they last? Some results are seen immediately after treatment, but patients continue to see an increase in their results throughout the course of their treatment plan. Results are permanent, however you may continue to see similar vascular irregularities develop on your skin as time goes by. These are newly developed, not previously treated spots coming back. What should I expect after Vbeam laser treatment for facial redness or for vascular lesions? For facial redness, broken capillaries & vascular lesions, you’ll likely notice an almost immediate improvement after treatment. However, after a few weeks the treated spots may begin to reappear slightly and then fade away again. You may also have bruising around the treated spots, which is sometimes a necessary side effect for best results. While the skin’s response is difficult to predict, these variations are completely normal. For patients with moderate to severe facial redness or for vascular lesions like angiomas, several treatments are often necessary to get the best results possible. What should I expect after Vbeam laser treatment for bruising? When we treat bruising after procedures like dermal fillers, you should expect to see improvement in the color of the bruise within just a few hours. If dark bruising still remains a day later, please call us, we may ask you to come in for an additional session. Typically, the best time to treat bruising is 48 to 72 hours after your procedure. What should I expect after Vbeam laser treatment for scars? For scars you should expect to see red or pink discoloration fading gradually over the 4 to 6 weeks post-treatment. Additional sessions may be suggested for further improvement and you should see better & better results each time.